Are you looking for trusted cleaners for your office? Can you remember the last time you looked around your place of business/office and thought that it was spotless? If it’s been awhile, it might be time for a thorough office clean. At Life Maid Easy Office Cleaning, we pride ourselves on constantly delivering the highest standard of office cleaning - through our reliable, trained and friendly staff. We provide cleaning services to schools, offices, organizations and construction companies, with our enviably low staff turnover ensuring a consistently high standard of cleaning at every level. Simply fill in the form below and we will be in touch within 24 hours. If you are unsure or are considering a few cleaning companies as becoming your preferred supplier, then here's why Life Maid Easy is the best choice for you. With so many other commercial cleaning companies in Auckland, what makes Life Maid Easy Commercial Cleaning any different? 1. QUALIFIED, TRAINED AND BACKGROUND CHECKED - Our cleaners are fully qualified, background & police checked and trained to our high national standard. 5. EXPERIENCE - With over 21 years industry experience, we have a thorough understanding of New Zealand’s rigorously competitive business environment. Having established our reputation for quality, communication, and reliability, our commercial cleaning services are designed to keep your business ahead of the game every day. 6. YOU ARE IN CONTROL - You can specify certain areas you want us to pay special attention to. We send you a cleaning specification sheet before your clean, which we check off and provide a copy of to you after the clean is completed. 7. QUALITY ASSURANCE - Brenda Griffith with her decades of experience in domestic cleaning conducts quality checks during and after cleans. She also trains our cleaning teams on a regular basis to they are up to date with the latest cleaning techniques. You can be assured that we are 100% behind our promise of a 5-star clean that you deserve. Our capability extends beyond the daily tasks associated with cleaning in offices, municipal buildings, educational establishments, business and industry, healthcare, transport and in addition our extensive works incorporate the provision facility services around the Social housing sector. We have the capabilities, expertise and structure to provide routine and one off cleaning works for individual retail units, outlets, chains or indeed the whole mall or shopping centre, cleaning retail space, public areas, food courts and amenities, on behalf of individual store owners, landlords or Managing Agents. A clean office environment reduces stress and improves productivity. We can tailor a cleaning schedule to suit your company’s individual needs, working together to meet your budget and requirements. From regular daily or weekly cleans, to one-off end-of-tenancy and periodic deep cleans, no job is beyond our reach. Our window cleaners are highly qualified and experienced and provide a professional service, whether it’s one shop or a 20-storey office block. We offer weekly, monthly and quarterly window cleans to suit your requirements. We use a specialist water-fed reach system, which use de-ionised water and can clean both the window glass and frames, ensuring an all-round professional finish. Workplaces need to be hygienic and free of bacteria and viruses. Constant use of door knobs, desk surfaces and bathrooms can breed bacteria which can promote flu and sickness amongst your employees. We are a premium cleaning company that will maintain high standards of cleanliness every time you walk through that door. We provide non-obligatory quotes by arranging an onsite visit to tailor make a cleaning plan to cater to your specific needs. A Spring clean takes twice as long as a regular clean as it goes deeper into areas that are not covered in your regular cleaning plan. We will clean your office from Top to Bottom, making sure that there is no mould, or any other allergy causing bacteria in your office. This will ensure a healthy environment for your employees and hopefully lesser sick leaves. If you want us to clean your office on a regular basis then all you have to do is give us a ring. We will then arrange a short meeting with you at your office to discuss your cleaning needs and customise a cleaning plan that is bet suited for you. We have put together an office cleaning spec sheet which will give you an idea as to will be covered in your regular cleaning. However, we do understand that every office is unique and will customise your cleaning plan according to your needs. The map below indicates our service area that we travel within. If your office is outside this area we can still help you. You can pay for travel time at $40+GST/hour. For example, an extra 15 minutes of travel time each way (30 minutes total) will cost and extra $40+GST on top of your clean. We clean areas from Orewa to Pokeno and Piha to Maraetai. Please ask us is you are unsure if you are within the service area of would like us to give you a no obligation estimate that includes any extra travel time. Click on the map for a more detailed view. Ok, I’m keen to learn more. What is the process of becoming a Partner with Life Maid Easy or simply booking your first clean? 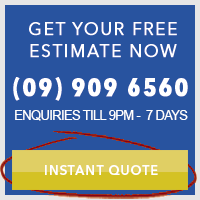 First step is to call the team on 09 909 6560 or enquire online for a no obligation estimate. We will call you to learn about your requirements and arrange an onsite visit to view the property. If that sounds like what you’re looking for, We will schedule a time for your one-off clean that suits you, arrange for access to your property and organise the payment details. You will receive a confirmation email and invoice with a specification sheet that we ask you to complete detailing which areas of your home that you want us to pay particular attention to. The day before your scheduled one off clean we ask that payment be made by credit card or you can arrange a debit card payent. At the scheduled time (morning or afternoon), the Life Maid Easy team will arrive at your property. Your office will be left clean and looking immaculate. A checklist will be left detailing all areas cleaned and any notes that we want you to be aware of. We send you a post clean survey via email and welcome any and all feedback you have. At any point, if you have any concerns or feedback then you are welcome to contact us and we will do everything possible to put it right. How soon can you schedule an office clean? Within 24 hours if it is urgent. Please call the team on 09 909 6560 and we will arrange a time to suit you. Can I schedule a clean for the weekend? Yes, our cleaning teams work on Saturday and Sunday. However our office is closed on the weekend, so make sure that you call us on a weekday to confirm a booking. Yes, but this is extra to the move in/out and deluxe one-off cleans. Based on the number of rooms we can give you an estimate to clean all the internal and external (reachable without a ladder) windows. For safety reasons we only clean the external windows that are reachable without a ladder. How long does a one off clean take? Between four and 12 hours depending on the number of rooms in your home and whether you want an move in/out or deluxe one-off clean. What time of the day is the one off clean scheduled for? We can schedule the clean to start in the morning (from 8:00am) or afternoon (after 12noon) to suit your schedule. How much does a one-off clean cost? It depends on the size of your office and how thorough you want the clean to be. Please enquire online or call us on 09 909 6560 for a no obligation estimate that is specific for your office. I’m interested in ongoing cleaning of my office. Do I need a one-off clean? If your office is already quite clean then you can go straight to regular, ongoing cleaning. If your office hasn’t been cleaned regularly then we recommend you invest in a one-off clean to get your office immaculate again. What if you take less time than the quoted in your estimate for a one-off clean? If we take less time than anticipated (admittedly this is rare) then we will only bill you for the time taken to clean your office and then refund the balance to your nominated bank account. If you decide that the clean is good enough as it is, then we will finish your clean to the Life Maid Easy Diamond Standard to ensure that you are happy. We ask that you pay in advance by credit card before your scheduled one-off clean. We have a full cleaning roster and pre-payment ensures that your clean is booked into the roster. What if I need to cancel or reschedule my one-off clean? We ask that you contact us 24 hours before your scheduled clean. If you cancel with less that 24 hours then you forfeit 50% the full fee you have pre-paid. This is because at such short notice we cannot find another job for our cleaning teams and we still have to pay them for their scheduled hours. Why do we tell you all this stuff? All of our competitors simply quote a price and give you a few bullet points as to what their one-off clean includes, let alone what it doesn’t include. We give you every detail so there is no surprises and you know exactly what you are paying for. Each week we clean hundreds of offices around Aucklander . Choose the cleaning company that is highly experienced in one-off spring and regular cleaning to ensure you are left with the clean office you deserve. Get your no obligation one-off clean estimate now. Auckland: Avondale, Blockhouse Bay, Eden Terrace, Ellerslie, Epsom, Freemans Bay, Glendowie, Glen Innes, Grafton, Greenlane, Grey Lynn, Herne Bay, Hillsborough, Kingsland, Kohimarama, Lynfield, Meadowbank, Mission Bay, Morningside, Mount Albert, Mount Eden, Mount Roskill, Mount Wellington, Newmarket, Newton, New Windsor, Onehunga, One Tree Hill, Orakei, Otahuhu, Parnell, Penrose, Point England, Point Chevalier, Ponsonby, Remuera, Royal Oak, Saint Heliers, Saint Johns, Saint Mary’s Bay, Sandringham, Tamaki, Three Kings, Waterview, Westfield, Westmere, Beachlands, Bucklands Beach, Clevedon, Cockle Bay, Dannemora, East Tamaki, Flat Bush, Half Moon Bay, Hill Park, Howick, Maraetai, Meadowlands, Mellons Bay, Glen Eden, Glendene, Green Bay, Henderson, Hobsonville, Kelston, Massey, New Lynn, Oratia, Sunnyvale, Swanson, Te Atatu, Titirangi, Waitakere, West Harbour, Whenuapai. North Shore: Albany, Bayswater, Beach Haven, Belmont, Birkdale, Birkenhead, Browns Bay, Campbells Bay, Castor Bay, Chatswood, Devonport, Forrest Hill, Glenfield, Greenhithe, Hillcrest, Mairangi Bay, Milford, Murrays Bay, Northcote, Rosedale, Rothesay Bay, Sunnynook, Takapuna, Torbay, Wairau Valley, Westlake, Windsor Park, Unsworth Heights.